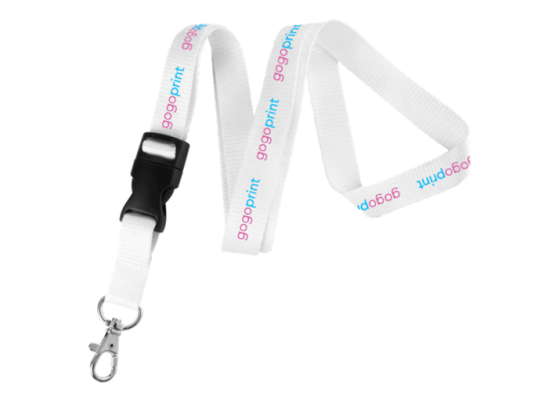 Lanyards are used not just in office spaces but also in events, fairs and festivals. Their role has moved beyond simply utilitarian to being something which is more of a souvenir. So even after an event people will normally collect and keep their lanyard, especially if it is printed beautifully! 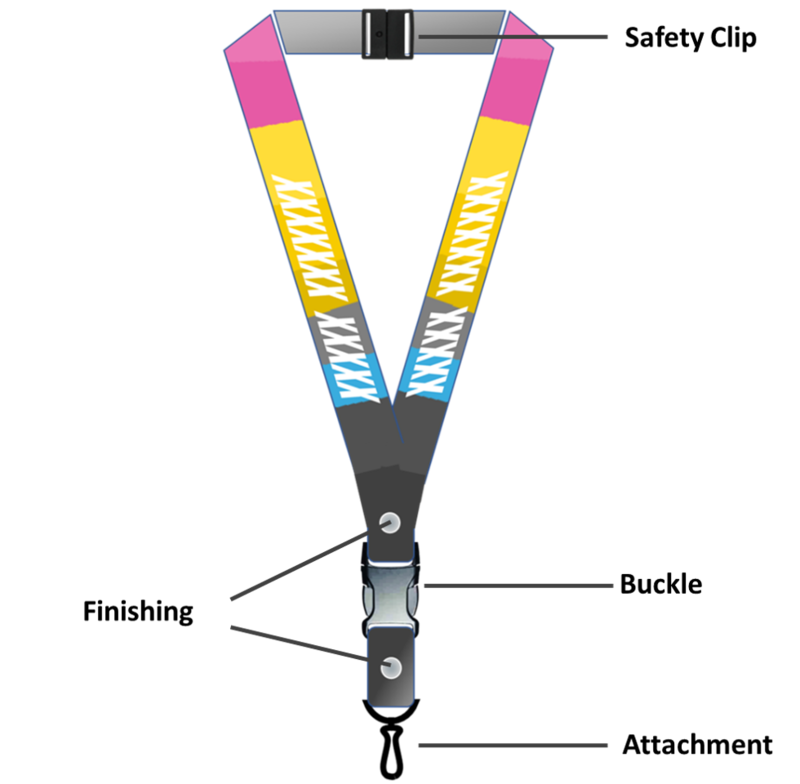 We are here to help you in picking and getting your Lanyards ready. Nylon: This material is used for Silk screen printing in spot colors. The process prints the design in solid colors (no color gradients/ transparency). Polyester: This material is used for Full color Heat Transfer printing also called sublimation printing (including color gradients/ transparency). Polyester is softer to feel compared to Nylon. Finishing refers to the method of attaching the lanyard material. 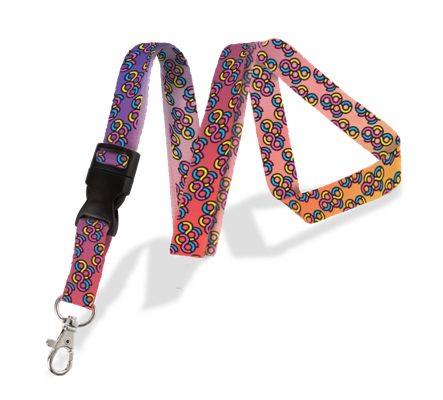 Lanyards can be sewed, riveted or clamped. The standard finishing is clamping. However, clamping is not available if you choose to attach a buckle. 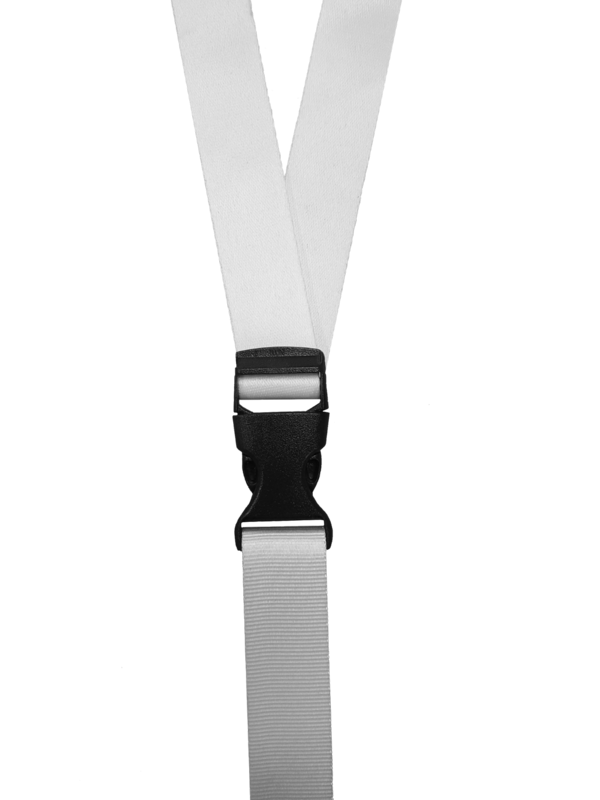 The standard attachment for our Lanyards is the Metal Clip (with O-ring). You can also pick a Lobster hook or a Snap Hook instead. 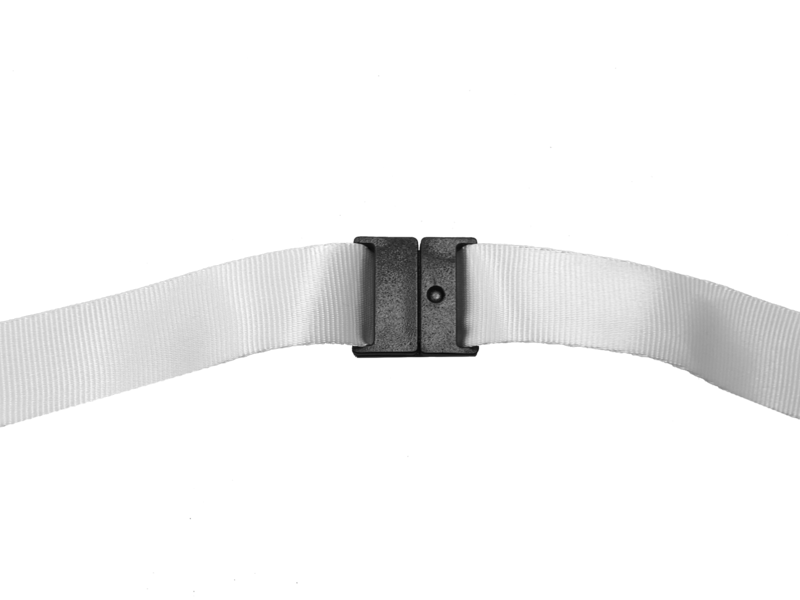 Buckle: You can choose to have a buckle or a swing buckle, if required. A buckle is helpful, for example, if you attach an access card to the lanyard. The buckle will allow you to easily detach the card for scanning and then reattach it. Safety Clip: A Breakaway safety clip can be added to the Lanyard. This is meant for general safety, in case the lanyard gets stuck somewhere and is pulled sharply, the safety clip opens up releasing the lanyard and preventing any harm to the user. 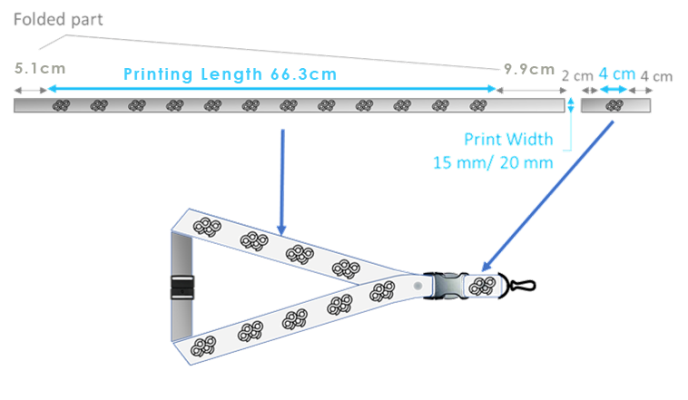 The artwork width depends on the Lanyard width - either 15 mm or 20mm. With buckle: The artwork is in two parts. The length of the 1st part is 66.3cm. For the 2nd part about 4cm of the length will be visible. The artwork has to be in Spot colors (converting your artwork to Spot colors). There can be no color gradients or transparencies – only solid colors. The artwork has to be in CMYK and can have color gradients and transparency. For both SIlkscreen & Full color printing the design has to be uploaded in a vector PDF file. If you have any more queries don't hesitate to get in touch with us over phone, chat or email. The Lanyards page is here. Happy printing!